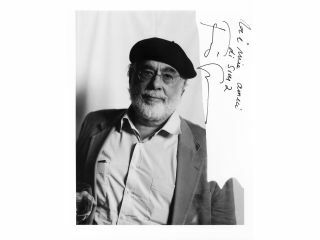 "I like SIM2 very much"
Francis Ford Coppola has signed on the dotted line with SIM2 to help the projector manufacturer come up with the perfect solution for projectors in the home. Italian manufacturer SIM2, known for its premium range of home cinema and professional DLP projectors, is hoping that working with the director of The Godfather, and his tech team, will bring the kind of quality Hollywood producers need when viewing movies to the consumer market. Although Coppola will feature in the company's marketing campaign, it seems the Hollywood honcho is a bit more engrained in SIM2, other than having his face plastered over promo material. Since 2008 he's had his own SIM2 projector and has used the device to edit his latest movie Tetro on. "I have owned many projectors in my life: SIM2 is now in both my studios and my home," the director explains. "Mr Coppola, like SIM2, is a perfectionist always striving to be at the forefront of his craft. His productions are not just movies; they are real masterpieces," says Maurizio Cini, President of SIM2 Multimedia, who has obviously not seen Jack. Coppola will be starring in SIM2's marketing campaign for 2010 so expect to see posters of the bearded one in your local AV shop soon.